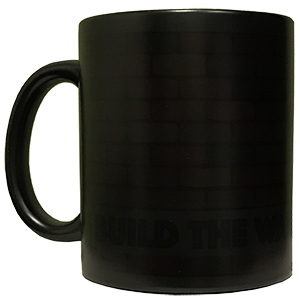 Our Color-Changing Build the Wall Mug is a Real Conversation Starter! Add any hot beverage and watch the wall appear before your eyes! A physical barrier must be built along the southern border to stop illegal immigration. We are keeping the heat on Congress to protect the American people and on President Trump to ensure he comes through on his promise. But we need your help! 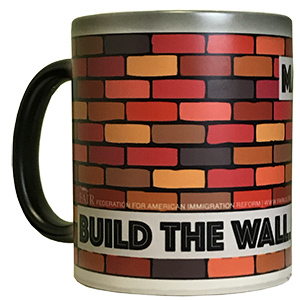 With a donation of $20 or more, we’ll send you one of our limited edition Color-Changing Build the Wall mugs! Just add any hot beverage and watch the wall appear right before your eyes! For more information about donating to FAIR, contact Bob Smith in the development office.